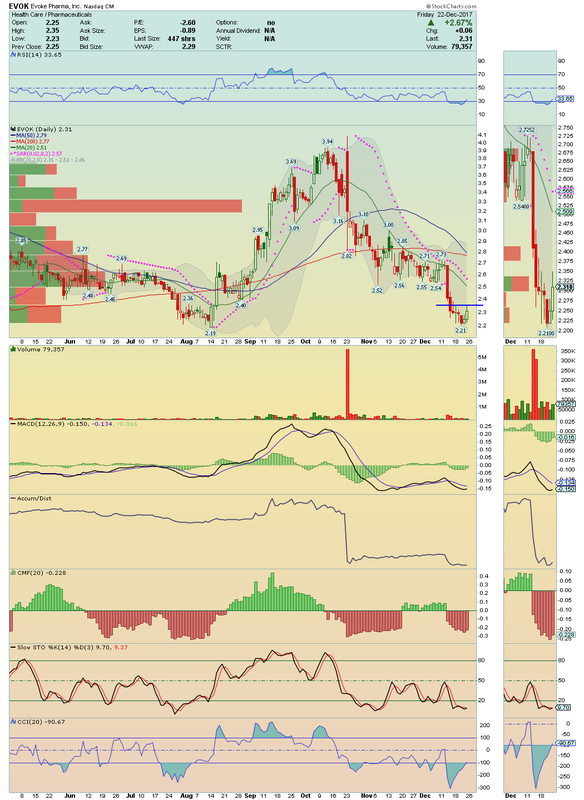 EVOK ---> It is a Bottom Player ready for a Bounce! Technical indicators are staring to curling up, meaning that price is getting some Momentum! I´ll try a Buy at 2.35! On volume is can run easily until $2.70. 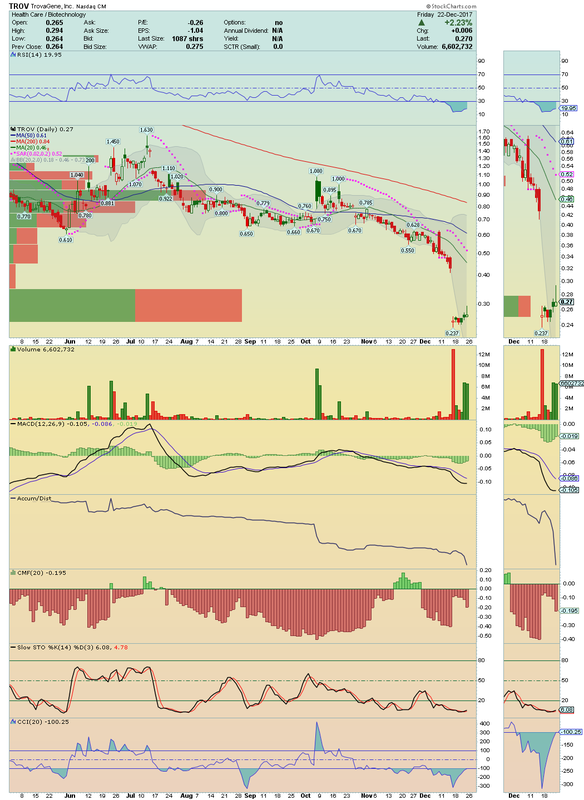 TROV ---> It is a nice Bottom, extremely oversold, trading under strong bullish volume and is setting up for a Bounce! Big Gap to be filled ahead! I´m long here. CCCL ---> Price made a nice trade session, rising +4.30% on decent volume, going to close at High of the Day! 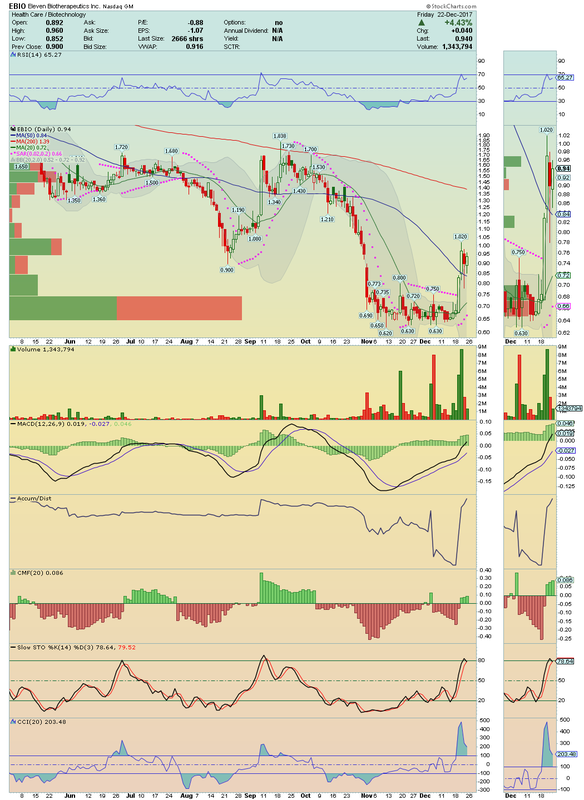 It is now about to break above a strong resistance area, which if made it on volume, it could go much higher, as it is a very Low Float Stock. 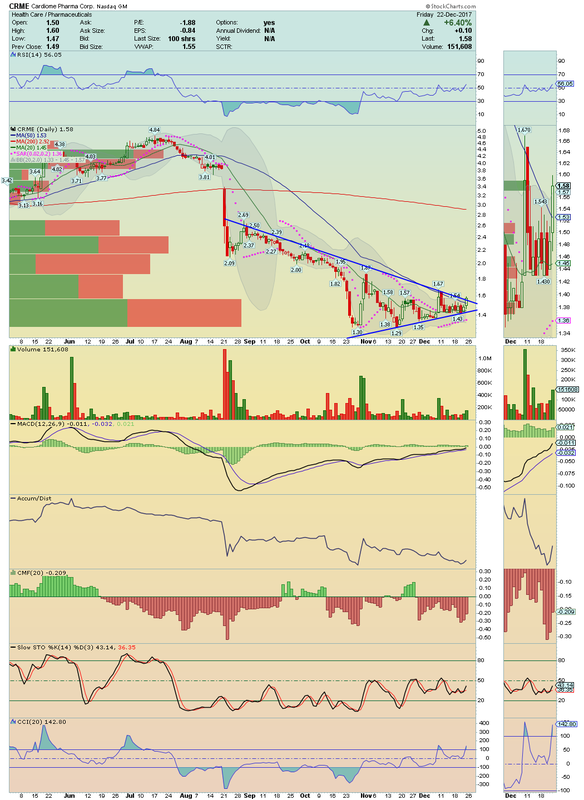 I will try a Buy at $1.98 with target $2.21 and $2.55. 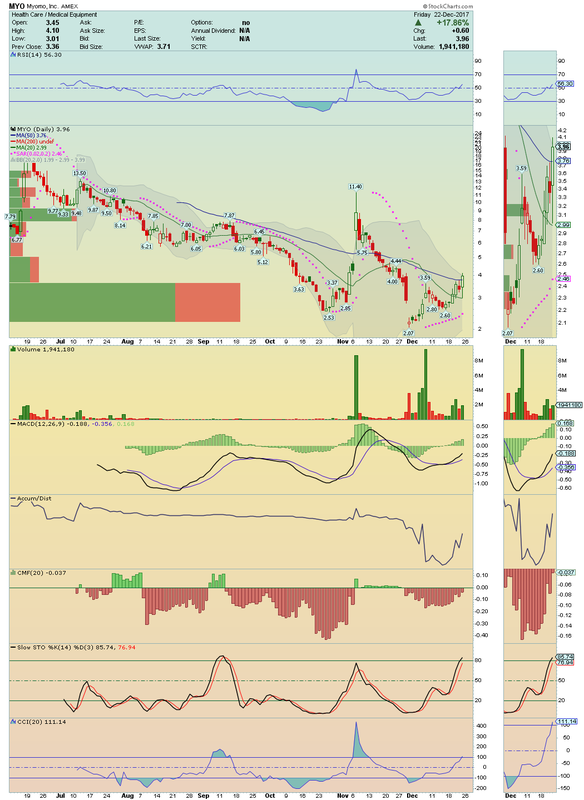 EBIO ---> Momentum remains very bullish, and strong and it could be the next Big Runner on next week!! Go long over $1.02. VYGR ---> We have here a beautiful Bullish chart, with price trading under a tremendous Buying Pressure and high Accumulation. With only 10.5 Millions of Float Shares, this stock could fly any moment!! Go long over $16.35. ONCE ---> Big Gap to be filled... and nice Momentum! Technical indicators are showing a strong Accumulation here. Short Squeeze looks inevitable. Could be a great Buy Opportunity here. INTX ---> Came on Friday with strong volume... again, proving its strong Momentum. A break above its 50 Moving Average could and should boost the price for a big Run! 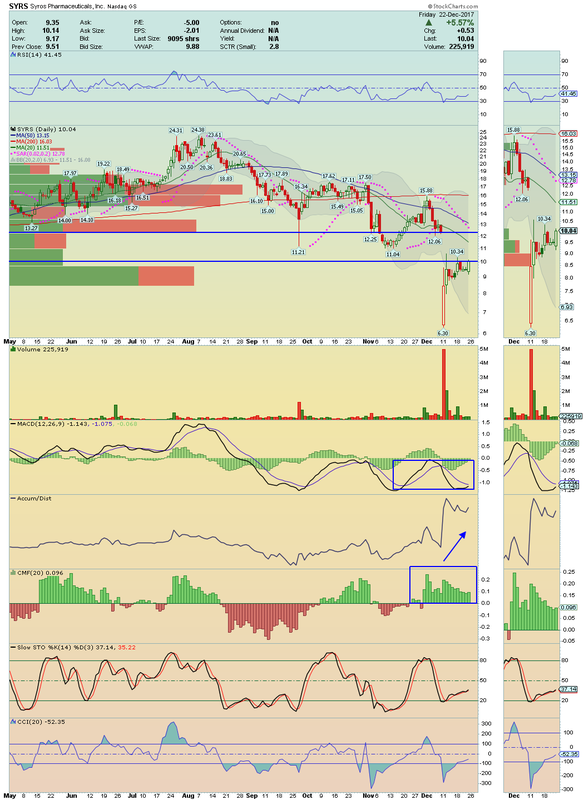 This Low Float Stock deserve our attention. ARCI ---> Price crossed and closed above all majors Moving Averages with strong positive divergences on chart!! 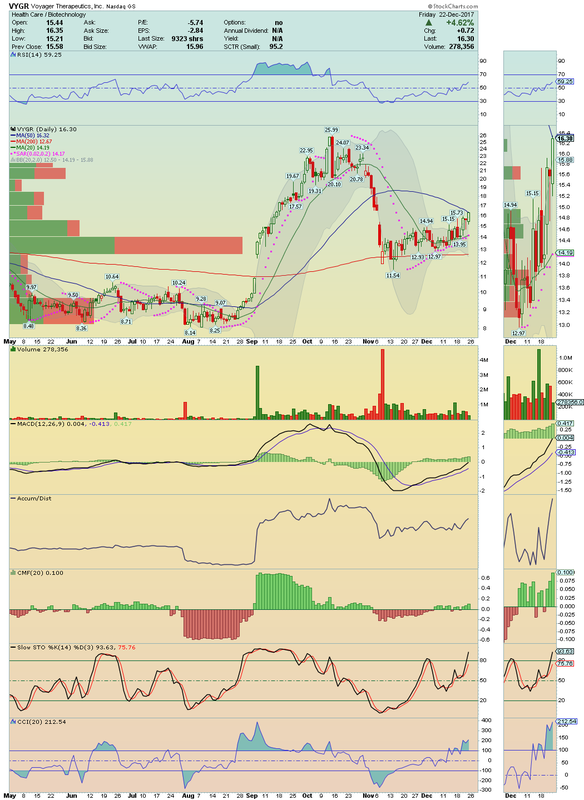 Looks poised to move higher! On watch. 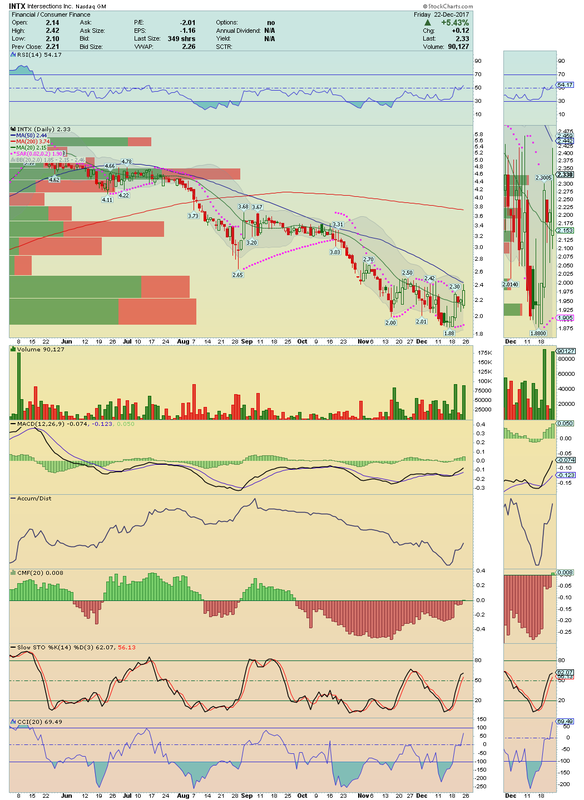 SYRS ---> Is trading under heavy Accumulation and a very healthy Money Flow! Watching for a Gap Fill!! CRME ---> It broke above its 50 Moving Average, above its Upper Bollinger Band Line and above its Trend Line Resistance on Volume and Buying Pressure!! 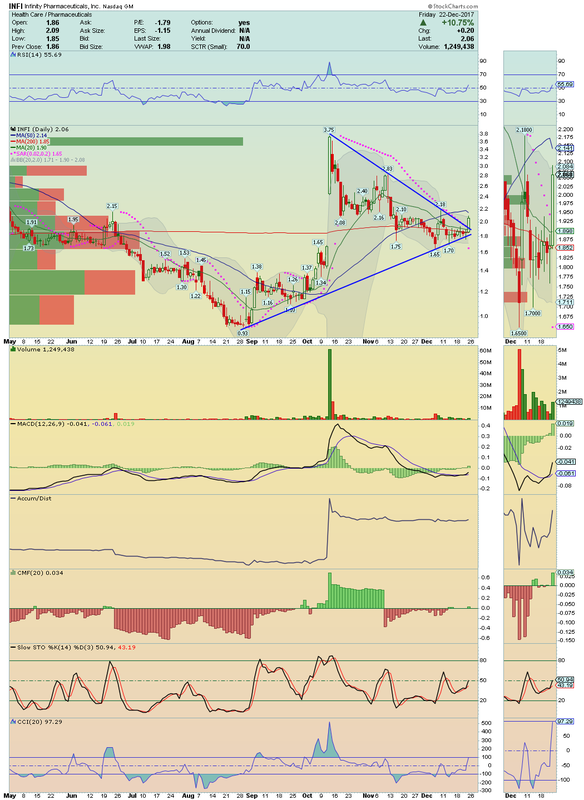 I´m watching for a break above $1.67!! Could Give us a nice squeeze. INFI ---> Alerted to our Members on Friday when it broke above its 20 Moving Average on volume! 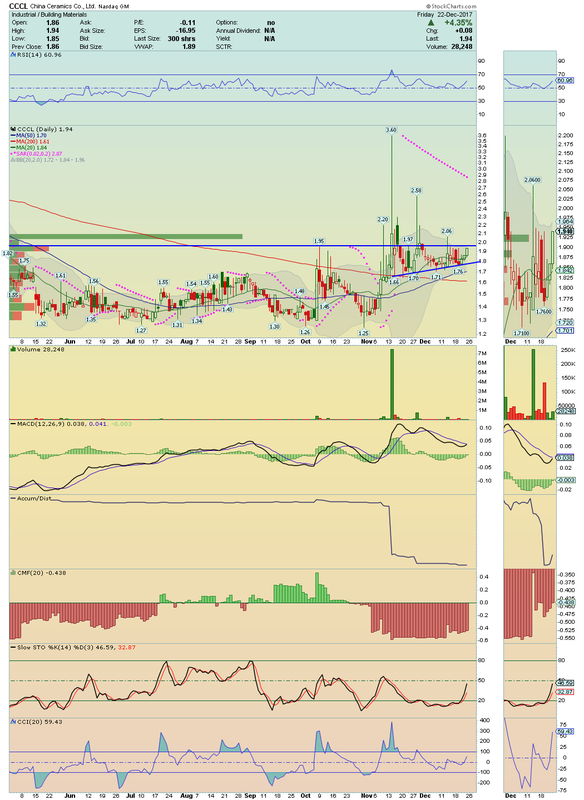 It close very well, near of High of the Day and we will looking for a break above $2.18!! It could squeeze easily until $2.80´s. Great Bullish chart. MYO ---> Now that it broke, finally, its 50 Moving Average, we could say that it is ready to SkyRocket!